Brighten up your life with this two-piece matching white luggage set from Herschel, including a large Trade Luggage suitcase and small Trade Luggage carry-on. We’ve all experienced rushing through the airport to get to the baggage carousel first, only to be greeted by 15 identical suitcases spinning round and round. Instead of trying desperately to figure out which indistinct black bag contains your valuables, brighten up your life with this white Herschel luggage set. We’re giving one lucky winner a white Herschel suitcase and matching carry-on so you never have to go through baggage carousel confusion again. With four multidirectional wheels, a durable hard shell and signature Herschel detailing, the large-sized Herschel Trade Luggage is the perfect baggage to take on a longer trip and stow under the plane. 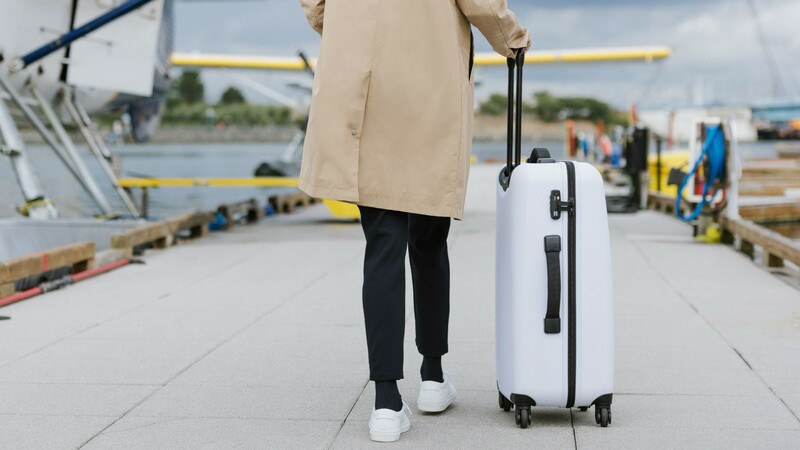 For all your carry-on needs, the matching white small Trade Luggage has all the durability and Herschel features rolled into a smaller package. Prize open to residents of Canada, excluding the province of Quebec. Prize is non-transferable and has no cash value. The winner must be able to collect the prize from Foodism TO's office: 14 Duncan Street, Suite 300, Toronto ON M5H 3G8. The prize consists of one Large Trade Luggage in White and one Small Trade Luggage in White. Contest closes April 30th at 23:59 pm EST and the winner will be notified by direct message. The winner will have 24 hours to claim the prize. If there is no response after 24 hours, a runner-up will be randomly selected.